I hope this post finds you all well. I have missed posting and missed all of my members. It’s been seven weeks since my heart transplant operation and I am so grateful for the gift of life. I just want to say on a personal note how much I appreciate all the e-mails and comments regarding my medical condition. I appreciate your kind words, care, love and concern. I am getting stronger each day, although some days are harder than others. I feel that all my members have become my extended family and I can’t wait to get back to writing the blog on a regular basis again. I might even come up with a few new recipes for organ recipients like myself that have a restricted diet. Thank you once again for all of your love, I LOVE you all! Although I am still too weak to start lifting dishes to set a tablescape or get back in the kitchen to cook, I wanted to share a few tips that I have learned in the hospital that I think would be good for all my members to follow. Since the new “Dirty Dozen” and “Clean 15” lists came out this week listing all the foods that have the most & least pesticides, and the recalls for listeria and E-coli; I have to share this with you. As you can imagine, not only do I have a lot of food restrictions post op, but I have to try and remain as healthy as possible and clean all my food thoroughly since I no longer have an immune system to rely on. Rinsing fruits and vegetables in a colander under water is just not enough, washing with organic dish detergent is not enough and produce sprays that you can buy in a grocery store are basically citrus extracts that aren’t strong enough to clean the pesticides. In addition, most of the produce sprays contain grapefruit extract which interferes with some medications, especially cardiac medication. So what can you do? After many studies, it turns out that the best pesticide cleaner is good old baking soda. In a bowl of water add a tbsp. of baking soda and soak your fruits and vegetables for 10-15 minutes. Remove the food from the bowl and into a colander to rinse by using tongs or a glove. DO NOT pour the water from the bowl directly in the colander or you will be pouring the pesticide sediment back on to your food. Rinse with water and then cook. I could definitely feel the difference with the fruits and vegetables once washed this way. Many of the doctor’s were very concerned about the proper temperature of the food once cooked. Every oven is calibrated differently and sometimes looks alone can’t determine if the food is cooked to the proper temperature. To solve the mystery, Bob and I bought an instant read meat thermometer. I bought a separate thermometer for my hand bag for when we are allowed to eat in a restaurant again (which won’t be after a year of healing for me, but I am prepared). 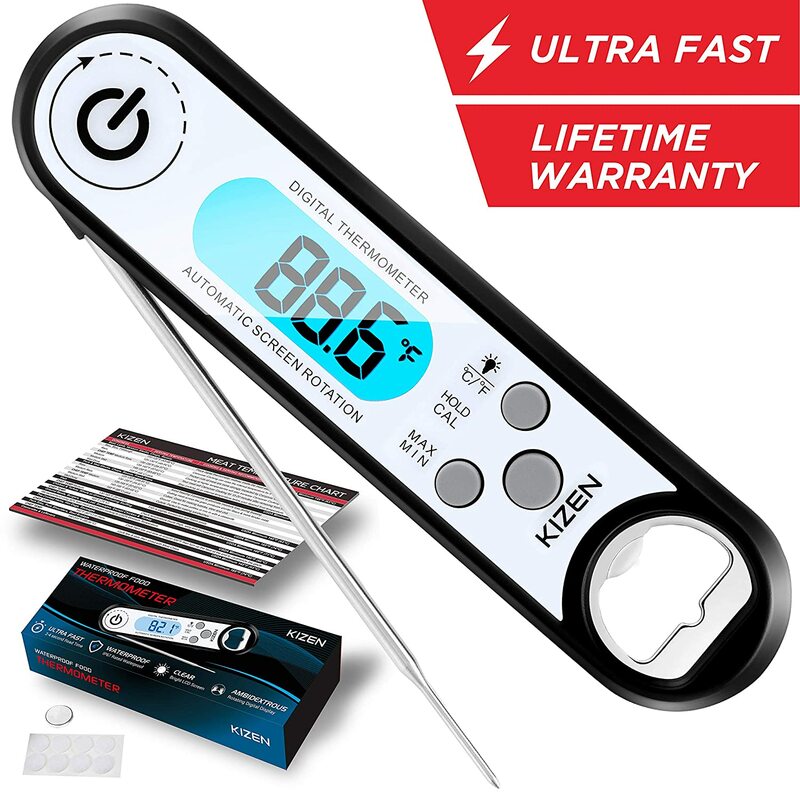 The thermometer is instant read and lifetime warranty. We purchased it on Amazon for $18.95 and it gives me peace of mind to know the food is cooked properly. I hope you try at least one of these tips and find it helpful. Food safety is so important for all of us. Ask your family and friends to share, like, comment and join DishingwithDiane.com and become part of the family! This entry was posted in Uncategorized on March 27, 2019 by aries041158. Hi everyone, this is Diane’s husband Bob. I wanted to share with you why Diane has not posted in a while. She had a heart transplant in late January and is now home recovering. 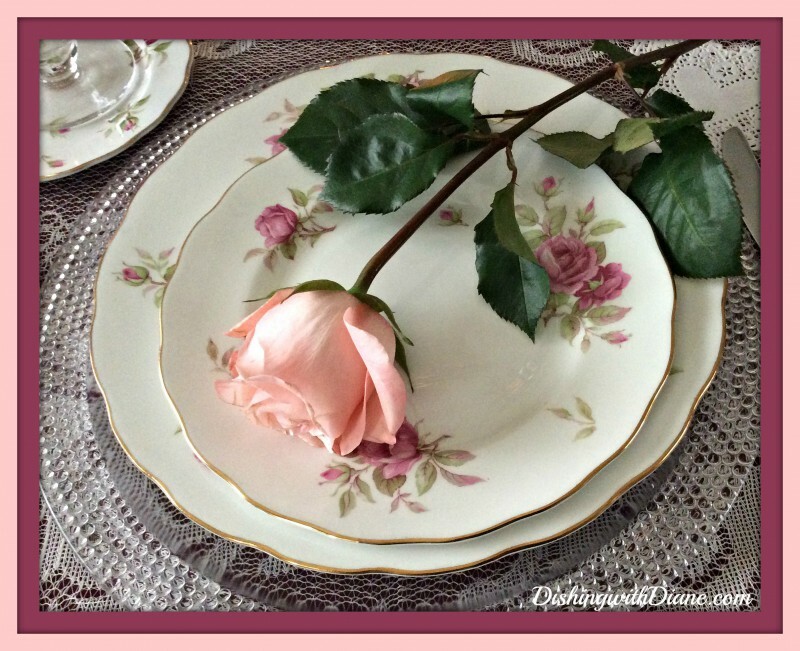 Diane will not be posting any tablescapes soon, but she will be posting recipes (with my help). She misses all of her members and can’t wait to get back to posting on a regular basis. This entry was posted in Announcements and News... on March 9, 2019 by aries041158.